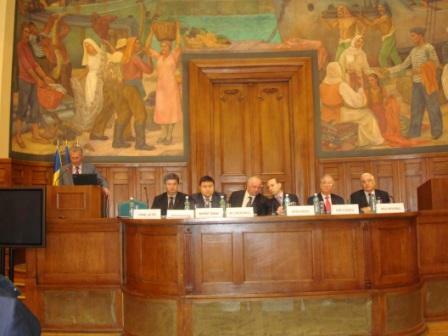 On 15 November 2011 Bucharest, capital of Romania, hosted the International Academic Conference: KAZAKHSTAN 20 YEARS OF INDEPENDENCE. PEACE AND CONSTRUCTION. 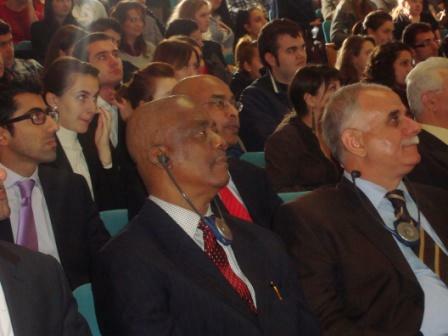 The Conference was hosted and organized by the European Council on International Relations and Kazakhstan Diplomatic Mission in Romania and had enjoyed the presence of President of Romania Mr. Ion Iliescu and President of Romania Mr. Emil Constantinescu , representatives of Romanian Parliament, Romanian Government and European Union academics etc. 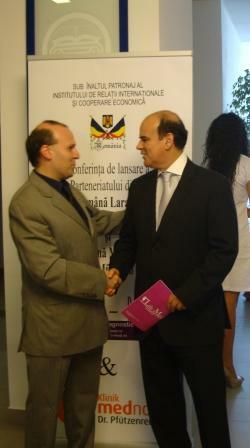 Professor dr. Anton Caragea -President of European Council on International Relations. The conference was opened by Professor Dr. Anton Caragea- President of European Council on International Relations who presented the speech: KAZAKHSTAN – 20 YEARS OF FULFILLED PROMISES, outlining the transformation of Kazakhstan from an energy dependent country into a world energy supplier, a powerful state, with consolidated democracy, market economy, social development and exporter of stability in Central Asia region. 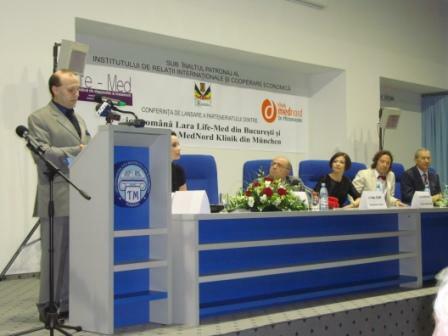 The speech of Professor Anton Caragea was fallowed by welcoming remarks of H.E. Kairat Aman , Charge d`Affairs of Kazakhstan Mission, who presented the astonishing accomplishments of Kazakhstan in reaching economic development , social and cultural enlightenment of his population and constructing a powerful democracy based on people consensus . President Emil Constantinescu of Romania ( 1996-2000) praising Kazakhstan consolidated democracy. 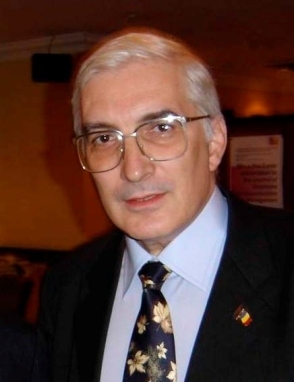 Professor Dr. Emil Constantinescu, President of Romania (1996-2000), presented a report entitled: KAZAKHSTAN 20 YEARS OF INDEPENDENCE. 20 YEARS OF DEMOCRATIC CONSTRUCTION, emphasizing the democratic credential of Kazakhstan , the success of holding free and fair elections, constructing a powerful civil society at the highest democratic standards. 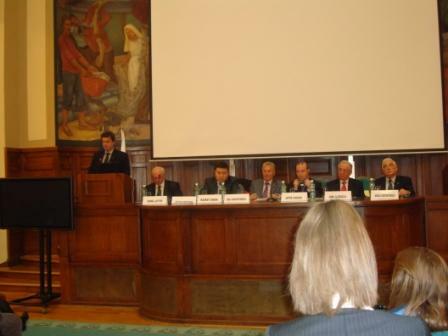 President of Romania Ion Iliescu ( 1990-1996; 2000-2004 ) speaking about Kazakhstan and world economy. Mr. Ion Iliescu, President of Romania (1990-1996; 2000-2004), had presented a report titled: KAZAKHSTAN AND WORLD ECONOMY GLOBALIZATION. The report is pressing on the impressive successes of Kazakhstan in the last 20 years: reconstructing Silk Road in transport and energy supplies lines, in promoting regional economic cooperation and in developing social and cultural status of people of Kazakhstan. 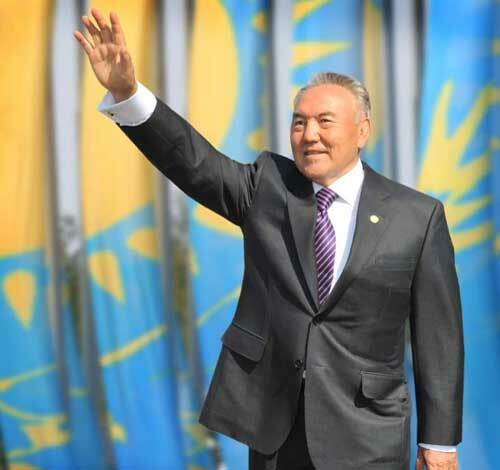 President Nursultan Nazarbaev has constructing a powerful and successful Kazakhstan, that everybody could be proud, concluded President Ion Iliescu. 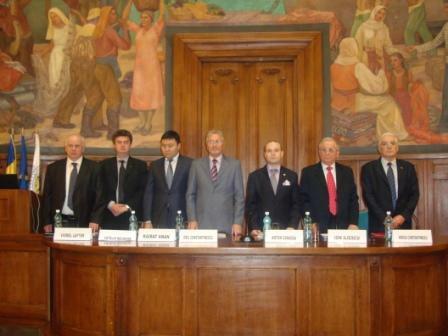 Member of Romanian Parliament : Catalin Nechifor prizing Kazakhstan as a bridge between Europe and Asia. 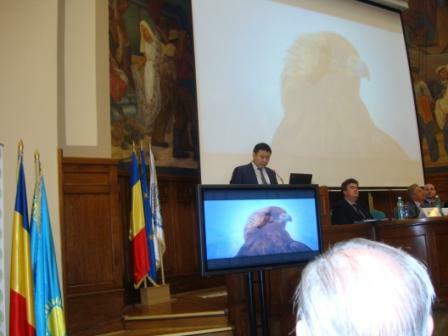 The other speeches where held by Catalin Nechifor , member of Romanian Parliament and Vice-President of Romania –Kazakhstan Friendship Parliamentary Group and by Dr. Mircea Constantinescu- Director of European Diplomatic Academy of European Council on International Relations. The two key note speeches had reflected the astonishing successes of Kazakhstan latest 20 years of independence : democracy, development , high standard of living , security and promoting international cooperation via international organization presided by Kazakhstan such as: Organization of Security and Cooperation in Europe (2010) and Organization of Islamic Conference (2011). 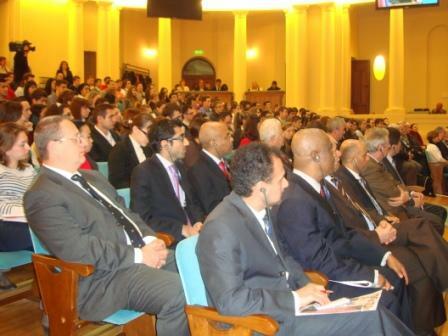 The impressive academic manifestation had enjoyed a large presence of Diplomatic Corp accredited in EuropeanUnion and Romania, mass media organizations and over 500 academics from Institute of International Relations and Economic Cooperation , Romanian Academy of Sciences , European Council on International Relations , Romanian Academy of Economic Science, European Diplomatic Academy etc. 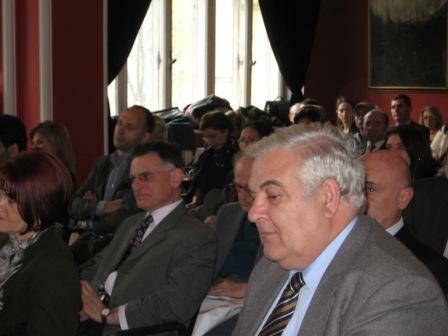 The most outstanding representatives of Diplomatic Corp accredited to Romania. 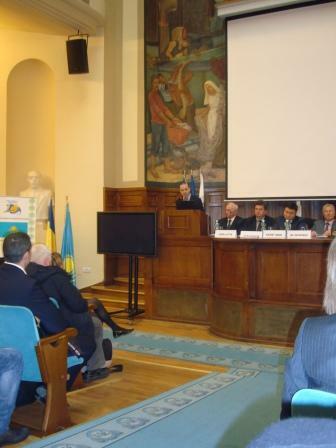 The International Academic Conference: KAZAKHSTAN 20 YEARS OF INDEPENDENCE. 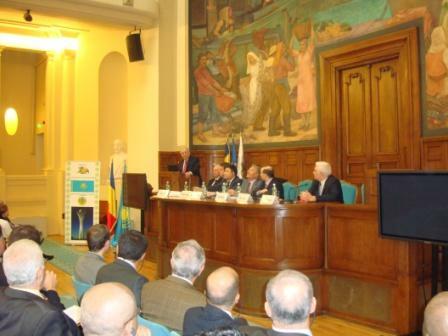 PEACE AND CONSTRUCTION was the most important conference dedicated to Kazakhstan Independence celebration in European Union and was an example of the interest generated by Kazakhstan on world stage and of brotherly relations between European Union, Romania and Kazakhstan. 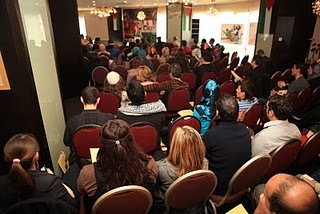 Discussion before the conference . 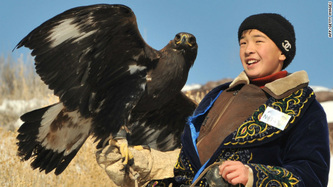 Friends of European Union and Kazakhstan. Ambassadors presents on the venue of the International Conference on Kazakhstan 20 years of independence. 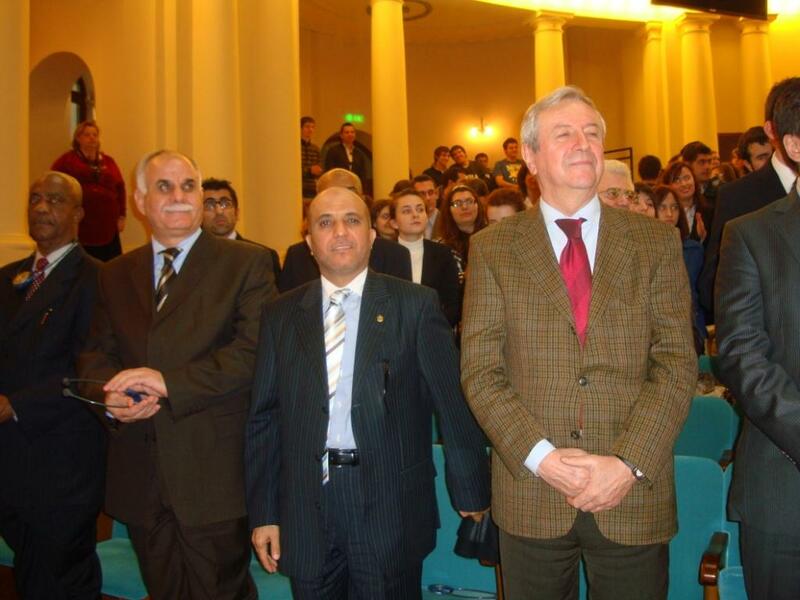 Ambassadors taking part on Kazakhstan 20 years of independence International Academic Conference. 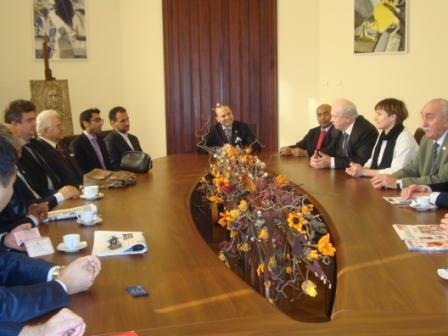 Between 15 and 23 October 2011 a six member delegation from European Council on International Relations ( EUCIR ) headed by Professor Dr. Anton Caragea, director of IRICE had paid an official visit in the Republic of Trinidad and Tobago. 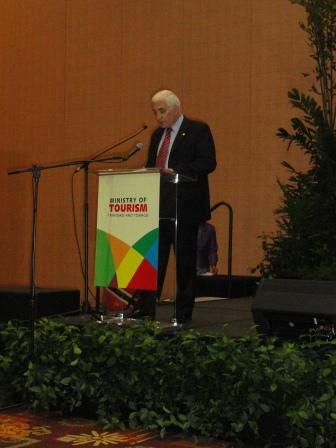 Professor Dr. Anton Caragea speaking for world tourism leaders gathered in Port of Spain ceremony. 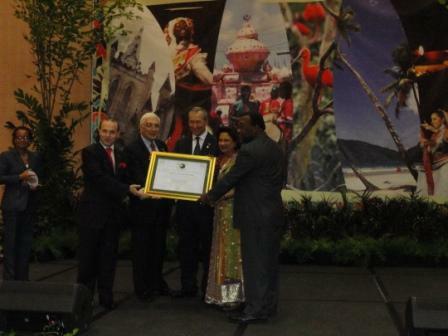 The European Union delegation was invited to attend the World Travel Award Ceremony held in Port of Spain, where Trinidad and Tobago received the title of Best Destination for 2012. 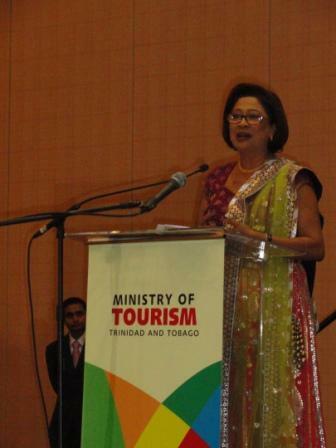 European Union had being instrumental in awarding this title and the right to organize this International Tourism Festival and Prime Minister Kamla Pershad Bissessar had publicly expressed appreciation for professor Anton Caragea vote, as European Council on International Relations representative, in favor of Trinidad and Tobago. The European Union delegation held talks on developing relations on tourism, industry and culture with Republic of Trinidad and Tobago with Minister of Foreign Affairs, Minister of Tourism – Rupert Griffith, Minister of Trade and Industry, Minister of Energy, President of Parliament of Tobago-Hon. 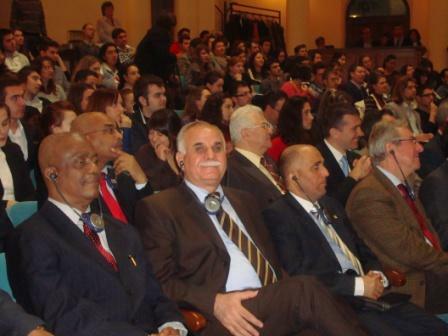 Orville London and Minister of Science and Technology–Senator Fazal Karim etc. The agreements reached varied from: the announcement of visa requirements relaxation for EU citezens for all type of passports and all type of travel for European citizens for a stay of 90 days, agreements for jointly established post university courses on diplomacy and tourism and agreements on tourism cooperation and on mutual investment protection. 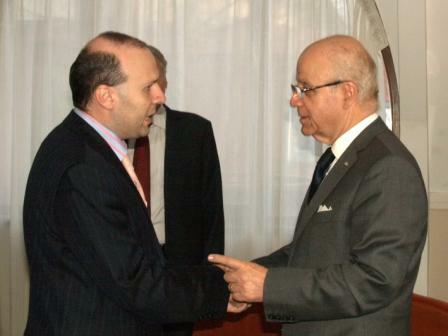 On the side line of the official meetings professor Anton Caragea meet General Manager Russell George of Hyatt Hotel Chains discussing ways for fostering tourism investment of Hyatt in Romania. The European Union delegation had also an impressive cultural program including touring the islands of Trinidad and Tobago , fort George , Mount George , Rain Forest Reserve, Maracas Beach etc. and participating in Divali Festival official opening etc. The visit has concluded with an official meeting of European Council on International Relations delegation with Prime Minister Kamla Parshad Bissessar, the main political figure of the island. 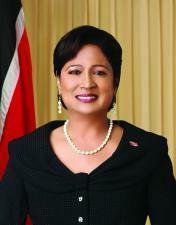 Prime minister stressed the importance of the first high level talks between European Council on International Relations and Republic of Trinidad and Tobago and important agreements reached by the parties and praised European Council on International Relations visionary decision of supporting Trinidad and Tobago international candidature. In his response Professor Dr. Anton Caragea highlighted the impressive development of Trinidad and Tobago in tourism industry, economic sustainable development and energy market regulation. Trinidad and Tobago is a safe country, democratically advanced and an interesting market for investments and European Council on International Relations is glad to have a strong partner on the other side of the Atlantic . The visit was an important diplomatic success in European Council on International Relations desire to foster relations with the nations of South America region and was the first high level visit in the latest 10 years in a South American country. 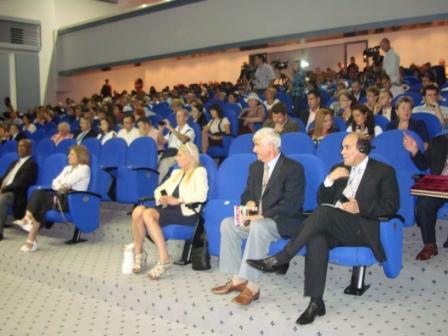 On 9th of October 2011 in a public séance of the European Union Council on Tourism and Trade gathering, representatives of tourism organizations from EU members country it was debated the list of candidates for WORLD BEST TOURIST DESTINATION for 2012. Professor Dr. Mircea Constantinescu, Director of European Tourism Academy, had presented a report on the last year situation of the Award for WORLD BEST TOURIST DESTINATION that was dedicated to United Arab Emirates and it was used accordingly with rules and regulations and have being proving highly efficient in attracting new tourists and investor attentions as United Arab Emirates was the ONLY country in the region that registered an increase in number of visitors despite tensions in the region. 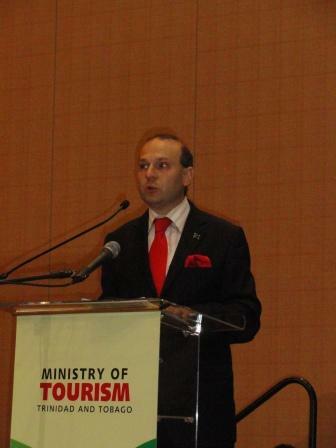 On the debate for WORLD BEST TOURIST DESTINATION AWARD FOR 2012 professor dr. Anton Caragea , President of European Union Council on Tourism and Trade ( ECTT) presented the report titled : TRINIDAD AND TOBAGO : A SUCCESS STORY IN TOURISM proposing TRINIDAD AND TOBAGO as the winner of WORLD BEST TOURIST DESTINATION FOR 2012. – Respecting cultural patrimony and traditions in offering to tourists a possibility to participate in impressive paraphernalia festivals such as: Holi, Hosay, Divali, Corpus Christi, Eid Al Fitr and special Tobago Heritage Festival Tobago Fest and Trinidad GREATEST SHOW ON EARTH etc. Keeping alive spiritual traditions , integrating tourist and visitors in the atmosphere of the islands , offering possibility of an enriching cultural experience are achievements that transform Trinidad and Tobago in a spiritual destination of first hand. – Promoting Trinidad and Tobago environmental protection, especially East Coast natural patrimony of wetlands, beaches and ecological and geographical biodiversity that make Trinidad and Tobago unique in the region. Supporting a new concept of tourism friendly to nature, with low nature impact and preservation of natural biodiversity and protection of endangered species and areas, especially rainforest eco-climate. – Offering to tourists not only cultural experience or relaxation opportunities but also the possibility to explore nature , to contribute to ecological preservation and the opportunity to observed in Tobago the impressive Forest Reserve are model achievements in ecological tourism that must be world appreciated. – The continuous development and protection of cultural and historical patrimony of Trinidad and Tobago, the transformation of Port of Spain in an historical center offering to the visitor a glimpse into rich culture of Trinidad and Tobago and Caribbean heritage. – Offering to the tourist a large area of cultural and ecological impressive programs such as: Wildlife Photography in places such El Tucuche Reserve, Valencia Wildlife Sanctuary, Caroni Bird Sanctuary. Cave exploration (in splendid places such as Gasparee Caves).Cycling, Hiking (Argyle Waterfall –a special destination), Kayaking (Paria bay and Tobago area). For all this reasons European Union Council on Tourism and Trade decided, unanimously, to award WORLD BEST TOURIST DESTINATION FOR 2012 TITLE TO TRINIDAD AND TOBAGO and to declare TRINIDAD AND TOBAGO- FAVORITE CULTURAL DESTINATIONS in 2012. It was also presented the Official Invitation, on behalf of Ministry of Tourism of TRINIDAD AND TOBAGO for a delegation of European high ranking official of European Union Council on Tourism and Trade, to present the WORLD BEST TOURIST DESTINATION AWARD in Port of Spain, in person, to His Excellency Minister of Tourism DR. RUPERT GRIFFITH. Awarding the highest tourism distinction of European Union Council on Tourism and Trade, the invitation for an working visit of high ranking members of European Union Council on Tourism and Trade in TRINIDAD AND TOBAGO are estimated by European tourism experts as a good example of close tourism relations and mutual appreciation between European Union and Trinidad and Tobago, said at the end of the meeting Professor Anton Caragea, President of European Union Council on Tourism and Trade. A public séance of the Academic Committee of European Council on International Relations took place at the headquarters of European Council on International Relations . On this session it was make public the decision of the Academic Committee of European Council on International Relations to award one of the highest European cultural and political distinctions to H.E. 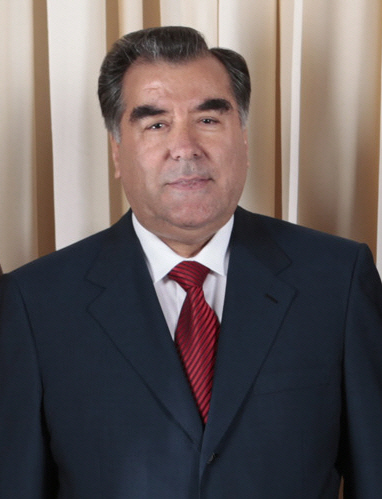 Emamoli Rahmon, President of Tajikistan. In rare ceremony, members of academic core, intellectuals and political leaders witnessed the signing ceremony of the Official Decree no. 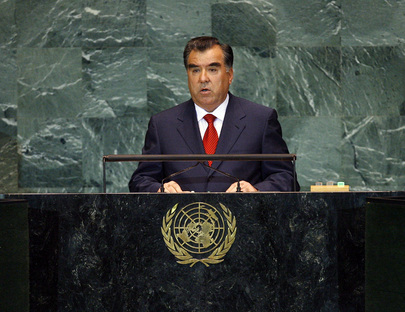 648 establishing the awarding of LEADER OF XXI CENTURY – INTERNATIONAL RECOGNITION TITLE to President of Tajikistan – H.E. Emomali Rahmon . On this occasion professor dr. Anton Caragea, President of European Council on International Relations, held a short speech about the meanings of this important event: This title is seldom awarded and only after a very carefully examination, as the receivers are leaders of the century, there work all thou concentrated in a year is reflecting decades of actions and achievements with positive influence over peoples and countries. Plus we have to defend not only the prize prestige but also the importance of our European Council on International Relations an institution , considered this year as the second in importance Institute of International Relations in the world. 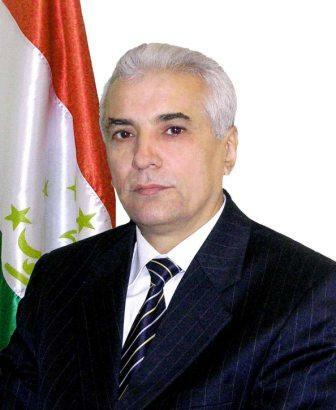 – Promoting internal unity of Tajikistan , combating corruption, and promoting respect for human dignity, clean governance and free media and supporting the construction of the edifice of democracy in Tajikistan with human rights, assured liberties and social justice and protection program`s . – Constructing a sustainable economic growth in Tajikistan , a rapid economic development and the construction of a solid free market economy based in the same time on the correct income distribution and with a highly development of social protection sectors. 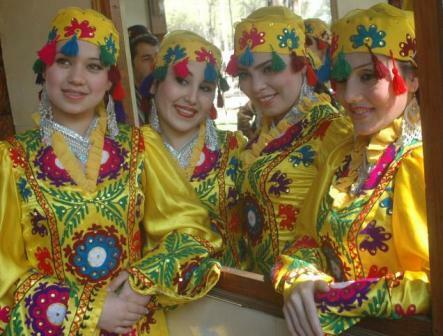 – The continuous development of social base of Tajik people by investing in health and education sectors , investment and support that is responding to the most sacred and untouchable human rights such as the right to health ,education and productive life. – Promoting Tajikistan environmental protection and historical Dushanbe resurgence and promoting economic cooperation with European Union are excellent endeavor’s that support the future of Tajikistan. 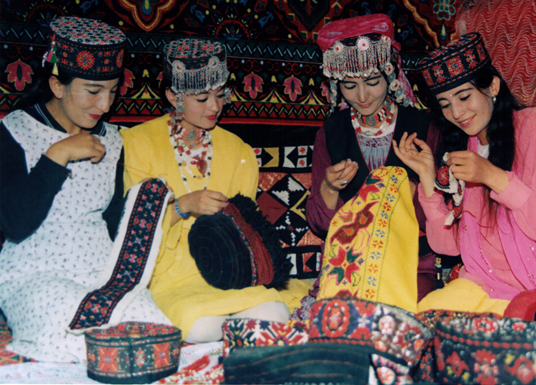 – The continuous development and protection of cultural and historical patrimony of Tajik people, the transformation of Dushanbe in the pivotal connection center between Europe and Asia and in a light-house of development for the entire region. Central Asia region by important and internationally resounding actions such as transforming Tajikistan in a secure state, with safe borders. 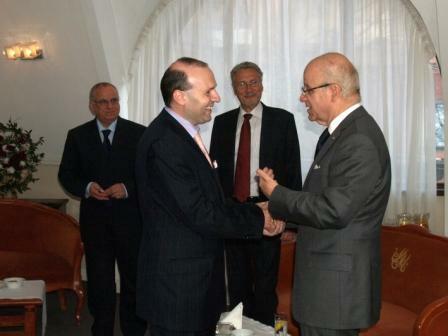 Awarding the highest cultural and political distinction of European Council on International Relations, the invitation for an working visit of high ranking members of European Council on International Relations in Tajikistan are estimated by European cultural, academic and political elite as a good example of close relations between European Union and Tajikistan, said at the end of the meeting Professor Anton Caragea, President of European Council on International Relations.